Reduced to Sell! Luxury country living at its finest! 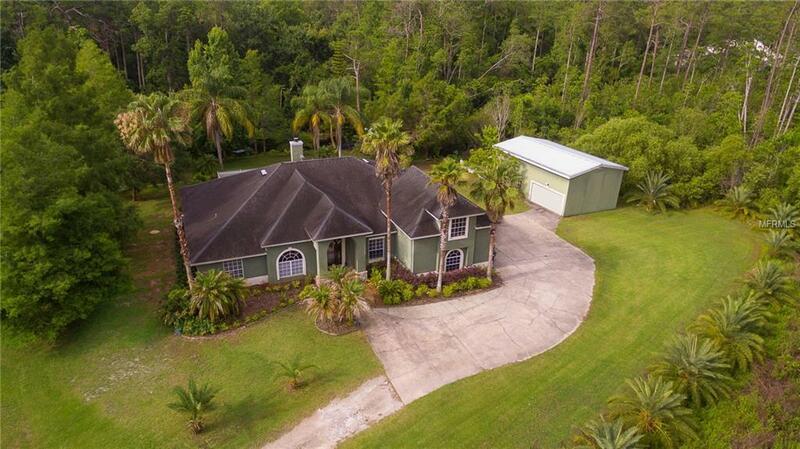 You will love this unique Home on 5 acres, private boathouse with deeded lake access to Lake Pickett. 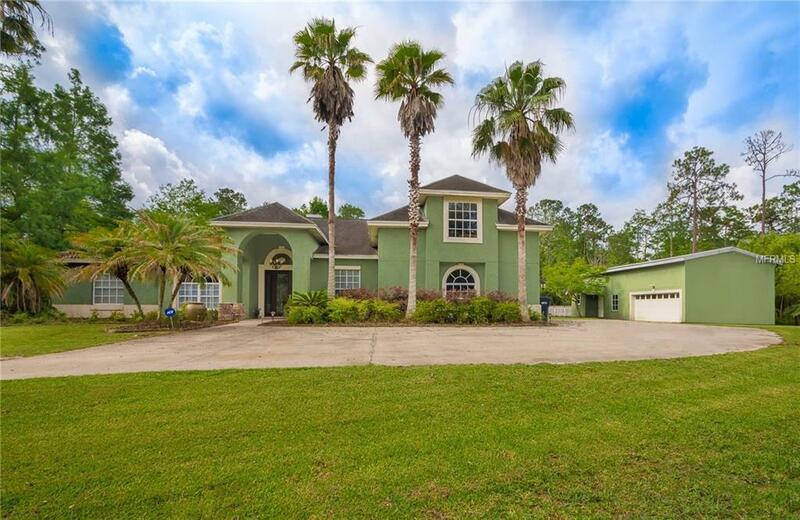 You are at home as you enter the private gates, long driveway leading into this unique 5 bedroom/4 bath Pool home. No detail was spared! Front entry has solid doors that open into an architectural dream, tall ceilings, modern tile flooring, beautiful wood floors, separated living areas, planation shutters, freshly interior paint, accent tile mosaic, fireplace and new ROOF with turbines fans. This house was built for entertaining and it has so much to offer like the updated bathrooms, gourmet kitchen, granite counters and stainless appliances. Large laundry room, mud room and inside garage was converted into a bonus room. This home has 4 bedroom downstairs which one could easily be a mother-in-law suite or use the upstairs bedroom as an in-law suite. Detached garage has bay doors and can easily store your vehicles, boat or RV. This 40 foot fully enclosed garage has a loft for storage. Enjoy a Gazebo and a boat house where you can house your boat and take it out on the canal which leads to a spring fed, 800-acre private lake with NO Public access. It offers great fishing, jet/water skiing and wakeboarding. 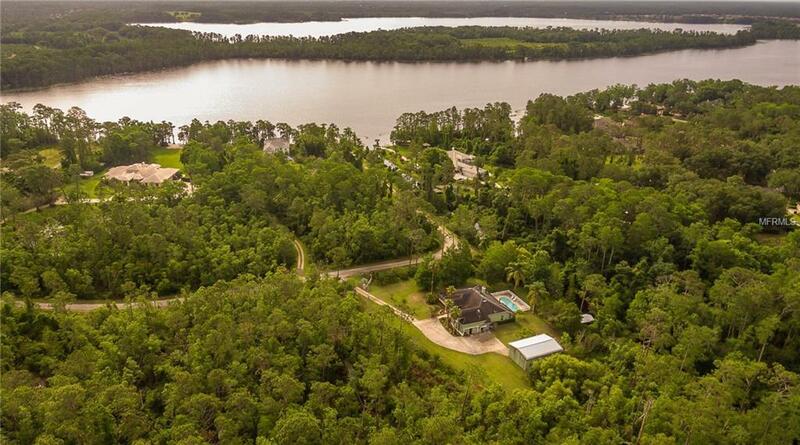 The community offers a boat ramp, dock, BBQ area, and is horse-friendly - zoned for horses! Top Rated Seminole Schools! Less than 30 minutes from downtown Orlando, UCF, 408/417, easy access to the East Coast beaches. Call today for a private tour. Additional Water Information Private Boat Ramp For This Community. 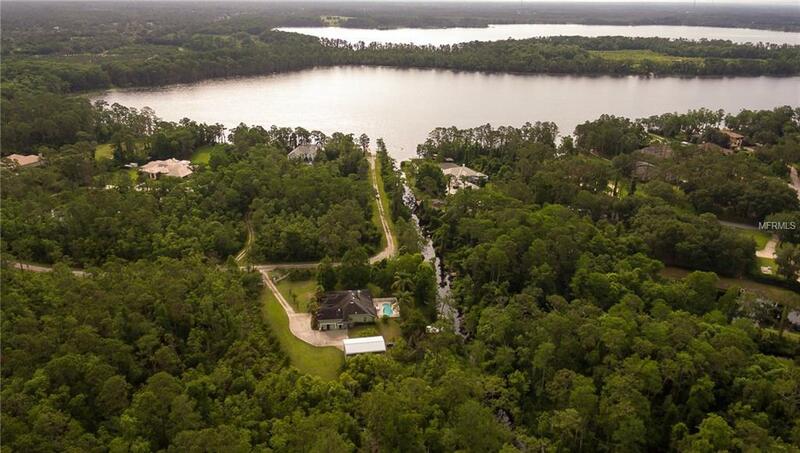 Amenities Additional Fees Fishing Pier Bbq Area Private Boat Ramp. Cameras At Gated Areas.